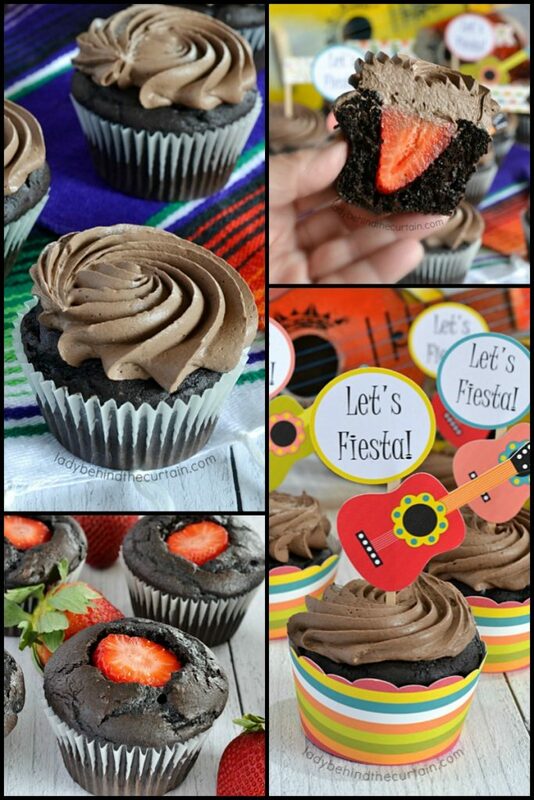 Dark Chocolate Strawberry Cupcakes| Create for your guests the ultimate chocolate Fiesta cupcake! 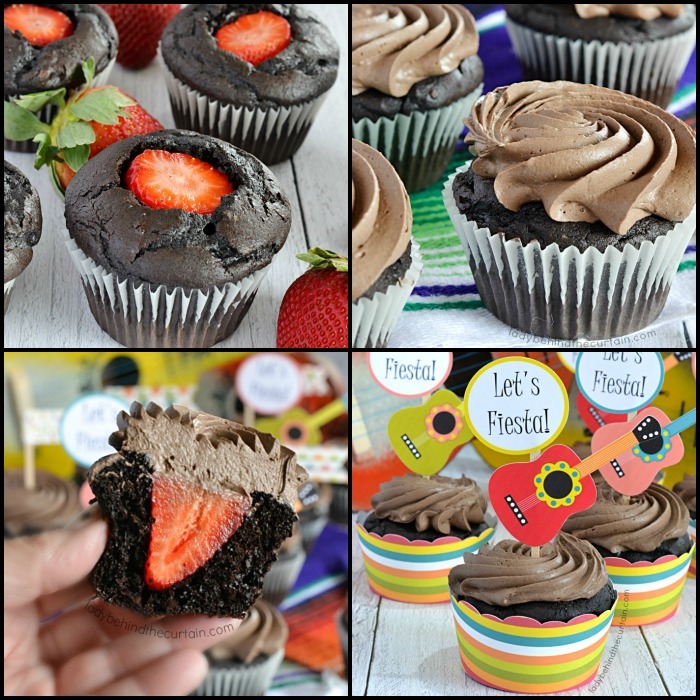 These semi homemade cupcakes are chalked full of chocolate flavor with a little fresh strawberry surprise center and the most wonderful Chocolate Whipped Cream Frosting. 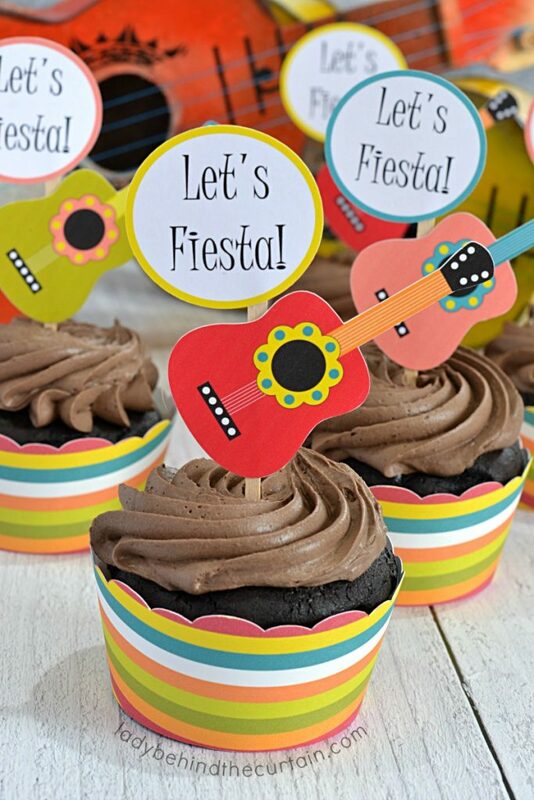 Wow your guests at your Fiesta with these tasty easy to make cupcakes. 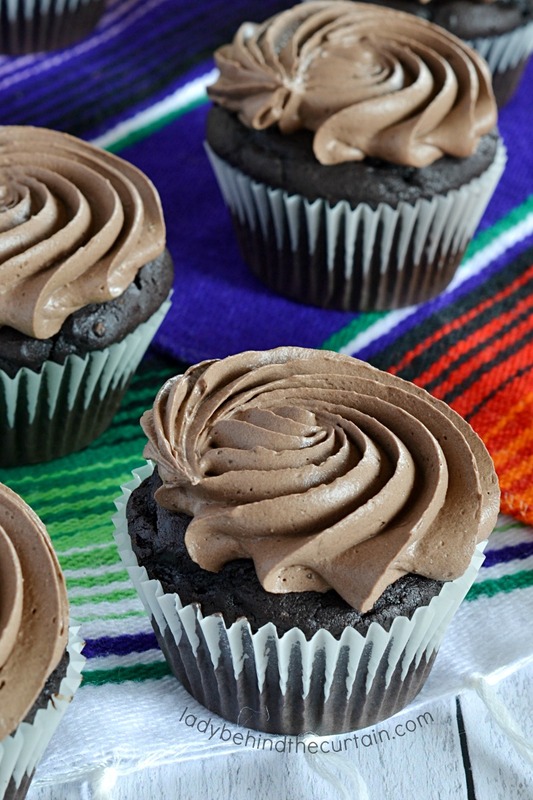 Your guests will NEVER know these delicious cupcakes started with a cake mix! NEW! NEW! NEW! 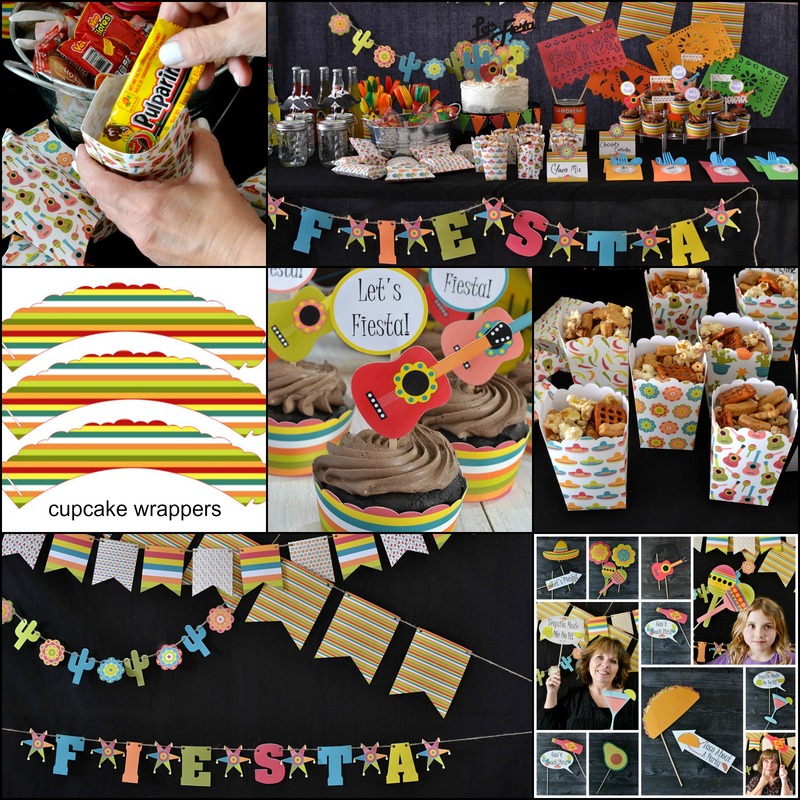 PARTY SUPPLIES FROM LADY BEHIND THE PARTY (me)! Look below for all the details. CUPCAKE PICK/TOPPER AVAILABLE FOR PURCHASE! 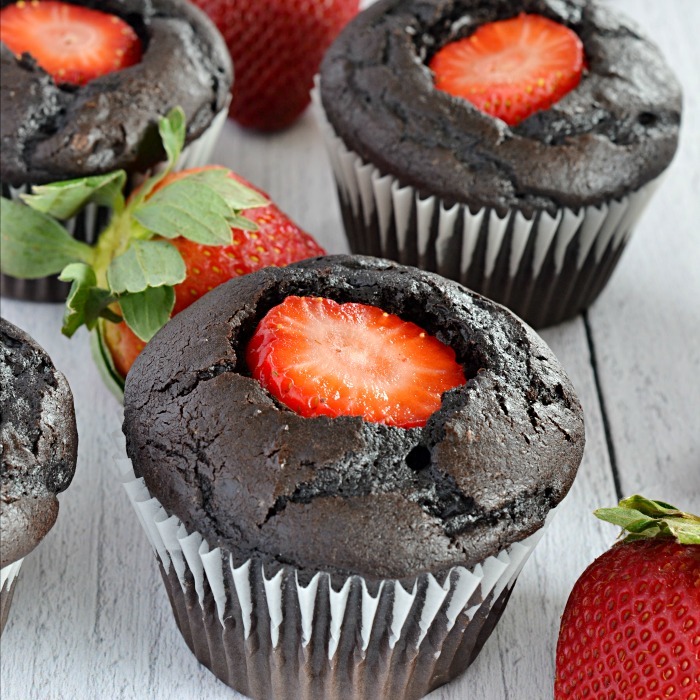 These Dark Chocolate Strawberry Cupcakes may look like any ordinary cupcake but….they’re not! Just wait until you bite into these dark chocolate delights. BOOM! There it is! The crunch and taste of a fresh strawberry! 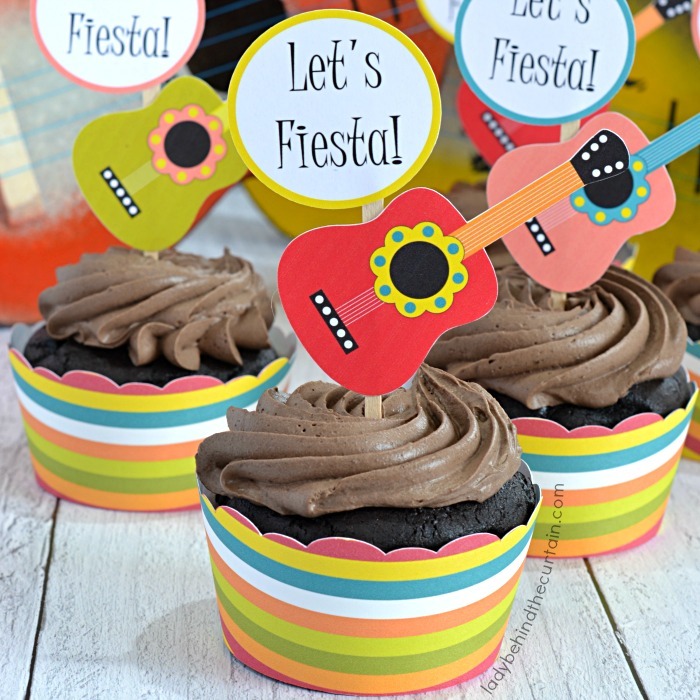 HANDMADE PARTY SUPPLIES BY LADY BEHIND THE PARTY (me)! Once cupcakes are cooled, hollow out some of the center and submerge a small to medium FRESH strawberry in the center of each cooled cupcake. 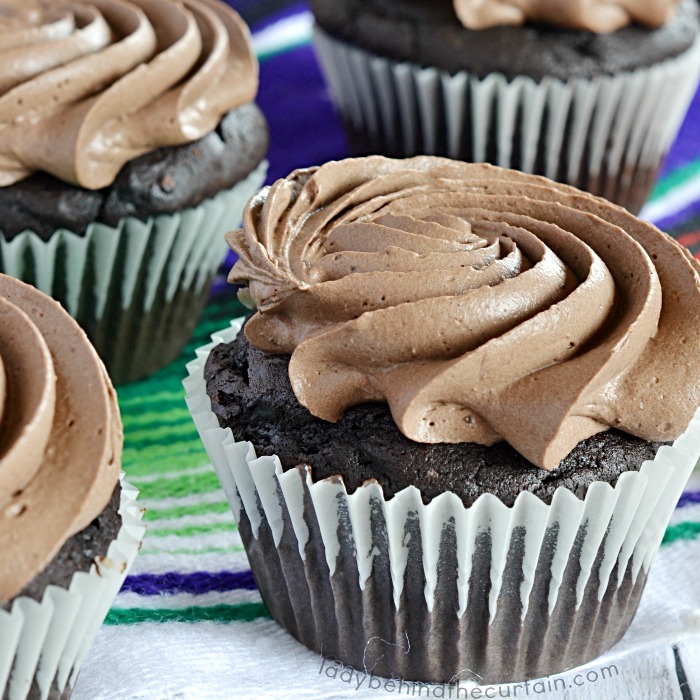 Top with the light and creamy Chocolate Whipped Cream Frosting! A semi homemade chocolate cupcake filled with a fresh strawberry! Whisk together the hot water and cocoa until smooth. In a large mixing bowl add the cake mix, espresso powder, oil, eggs, sour cream and cocoa mixture. Mix together until creamy. Using an ice cream scoop, fill liners 2/3 full. Bake 17 to 20 minutes or until a toothpick inserted into the center comes out clean. Cool completely. 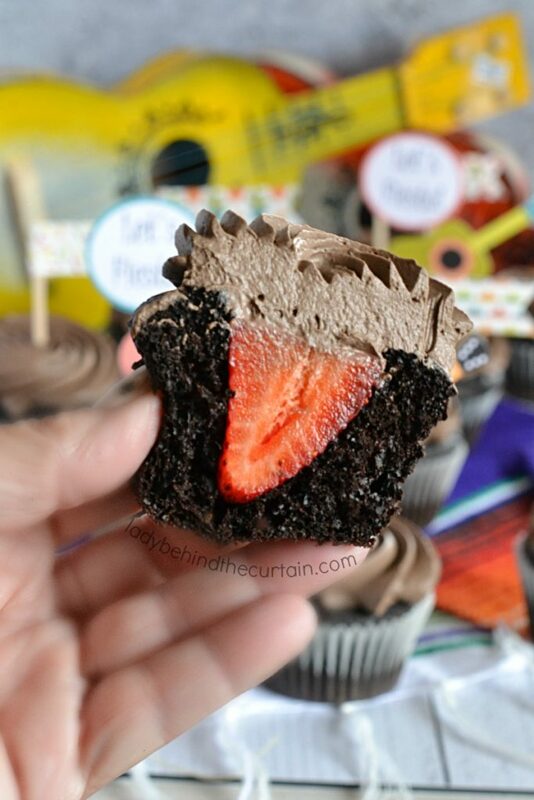 With a paring knife hollow out some of the center of each cupcake, insert the prepared strawberries. Pipe on the Chocolate Whipped Cream Frosting. Store cupcakes in the refrigerator until ready to serve. 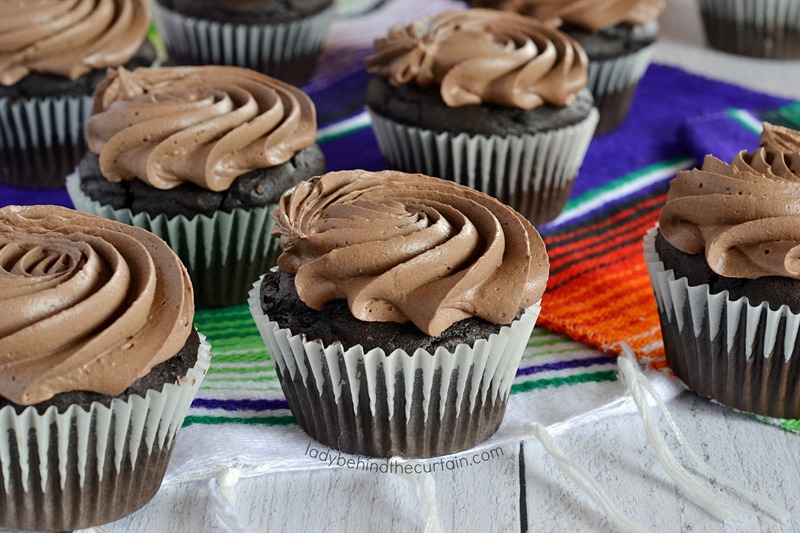 More cupcake recipes you might like. MOIST VANILLA CUPCAKES and STRAWBERRY CUPCAKES.